Check out the best in The Bay for music this week. 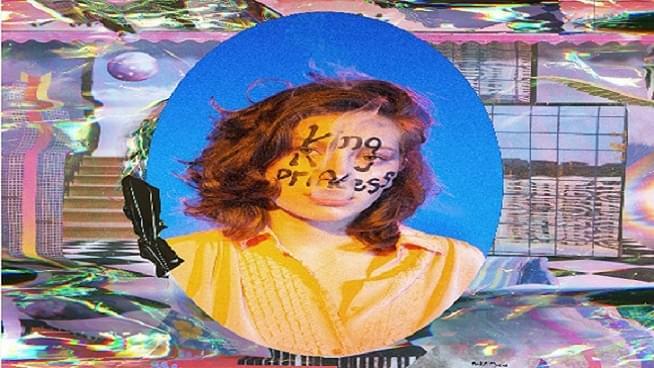 King Princess may be a newcomer on the scene, but she is packing some serious heat. At only 19 the singer/songwriter, multi-instrumentalist, and producer has signed to Mark Ronsons’ Zelig Records, released her debut EP Make My Bed, and had a charting single “1950”, that pays homage to the LGBTQ community and the 1952 novel The Price of Salt. King Princess will bring her live show to San Francisco for two shows this week, Monday at the intimate Rickshaw Stop, and Tuesday to the Great American Music Hall. If you’re the mood for a blast from the past, look no further than the Psychedelic Furs who bring their pioneering post-punk sound to the Masonic on Tuesday night. The band enjoyed enormous success in the 80’s and 90’s starting with the single “Pretty in Pink” which introduced the band to the masses and served as the inspiration for the classic John Hughes movie by the same name. After a slew of #1 hits through the 80’s and early 90’s, the band went on hiatus in 1991, but have since reformed and have been steadily touring since 2000. The British band has also enjoyed a resurgence of sorts lately with songs being featured in the smash Netflix series Stranger Things and the Oscar-nominated Call Me By Your Name. Talk about a dual lineup! The Offspring, often credited with bringing punk back into the mainstream along with Green Day, take the stage with reggae-rock legends 311 for a serious blast of 90’s nostalgia Wednesday at the Shoreline in Mountain View. While The Offspring haven’t released an album in several years, they have quite a discography to pull from including smash hits: “Come Out and Play”, “Self Esteem”, “Gotta Get Away”, “Pretty Fly (for a White Guy)”, and “The Kids Aren’t Alright”. 311, on the other hand, have steadily released new material including 2017’s Mosaic in addition to recent re-issues of their classic albums Grassroots and the self-titled 311. And speaking of classics, congratulations to 311 for recently becoming the 9th longest running band of original members at 27 years, behind the likes of ZZ Top, U2, and Radiohead. Pink Skies may be another new name on the scene, but don’t let that turn you off. The brainchild of Oakland native Arieh Berl, Pink Skies produces an innovative blend of psychedelic rock and R&B that is beginning to perk up ears in the indie scene. Pink Skies recently dropped his debut EP Does It Really Matter?, while earlier singles have been buzzing in the blogosphere for over a year now. For more on Pink Skies check out my interview with Arieh. Pink Skies open for In the Valley Below and Tanukichan Wednesday at the Rickshaw Stop in San Francisco.